Even though it's started to heat up here in London (finally! ), I'm still not ready to give up my porridge in the morning. I like gluten free grains and lately have been enjoying millet. Although it looks like a grain, millet is actually a seed! It's very easy to digest and is jam packed with vitamins and minerals; magnesium, calcium, maganese, tryptophan, phoshorus, fiber and b vitamins. 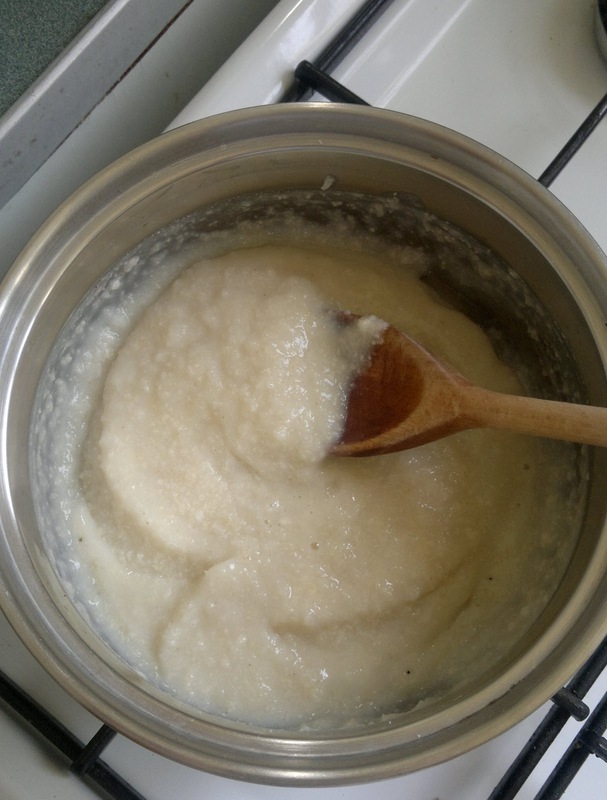 Add millet flakes and 200mL of the water to saucepan over a medium to low heat. Stir the millet as it heats up, it should take only a minute before it starts to simmer. Once thickened add the remaining 100mL of water and stir in. Now simply add your toppings! 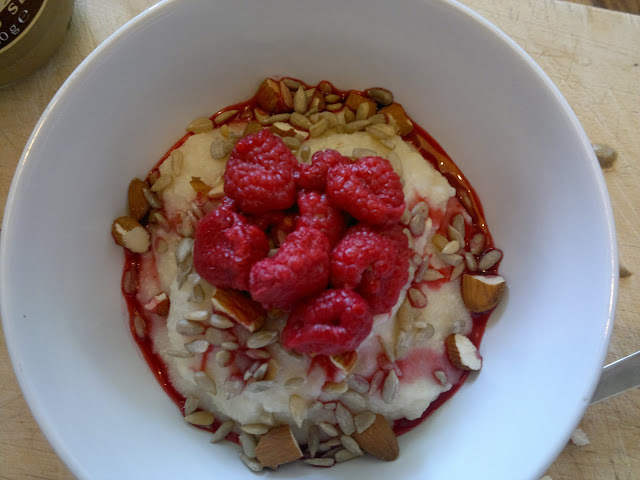 Throw on the almonds, sunflower seeds and raspberries. 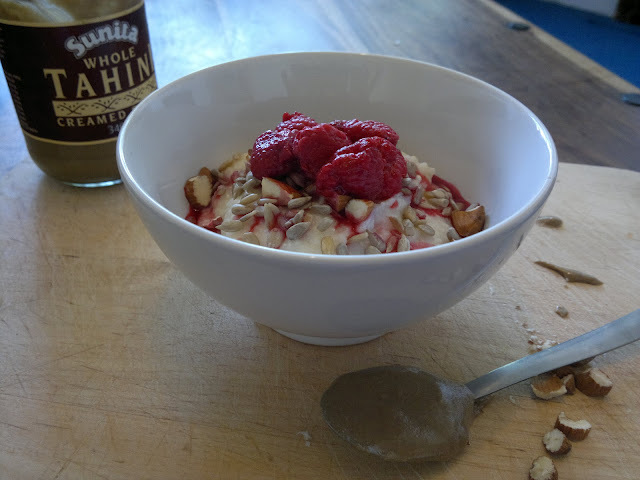 I like to then spoon out my tahini and pop the spoon straight in the bowl ready to dig in. OMG looks delish...! But won't be eating this in Australia till winter!!!!!!!!!!!! !